Over the past 16 months, I wrote at least 400 pages of fiction every month. That streak came to an end in May, as I turned out 324 pages. I almost wrote "only 324 pages", before I realized what a ridiculous statement that would have been. I'm not foolish enough or obsessive enough to think that that's a bad month. But I'd like to do better, and I need to do better if I'm going to keep up with my deadlines. But in May there were just too many other things going on in real life that needed to be tended to, and I did a lot of plotting and research that took time but didn't produce new pages, and I've also been battling what seems to be a case of tendonitis in my right elbow. I suppose I'll just have to try a little harder in June, and in the meantime be satisfied with knowing that at least I've averaged more than 400 pages per month for the past two-and-a-half years, even if I haven't done that much each and every month. 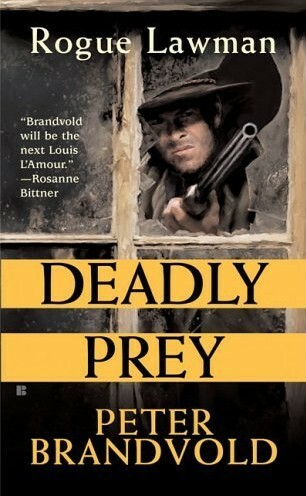 DEADLY PREY is the second book in the Rogue Lawman series by Peter Brandvold. By this time, former U.S. Marshal Gideon Hawk, forced by tragic circumstances in the first book to become a renegade vigilante (at least in the eyes of the law), is becoming well-known throughout the West. Dime novels are even being written about him. And this notoriety is embarrassing to the authorities, so even as Hawk is hunting down a gang of vicious, bloodthirsty outlaws, he is being hunted by a former associate who has been given a special assignment by the governers of five Western territories: find Gideon Hawk and kill him. There's plenty of action in this book, and writing action scenes is one of Brandvold's strong suits. But there are also moments that are quiet and poignant, and as always he has a fine eye for the little physical details that make a character or a scene come alive. I also enjoy the fact that while working in the traditional Western form, Brandvold brings in a wide range of influences, from Spaghetti Westerns to comic books to hardboiled crime stories. I read and enjoyed the first book in this series and liked this one, too. 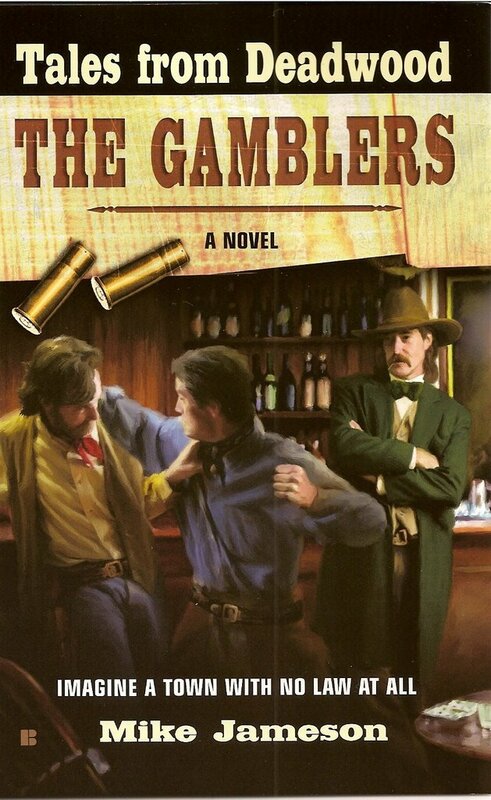 I really need to catch up on Brandvold's other Westerns. After a little more than two weeks of working on plots, research, book proposals, and short stories, yesterday afternoon I finally got back to writing a novel. As I've mentioned here before, I almost always enjoy the first day on a new book. I get a burst of enthusiasm and tear into it. Well, not this time. I spent the whole afternoon fumbling and flailing around and trying to work up some momentum that just wouldn't come. I was afraid that when I looked back over the pages today, they'd be terrible and might even have to be thrown out. Thankfully, that proved not to be the case. They weren't great pages, but they weren't nearly as bad as they seemed yesterday. I did some revisions, tightening them up and making them flow more smoothly, and they turned out okay, or at least good enough to let me go on. The writing still went slowly for part of the day today, but then this afternoon I finally got in a rhythm and did some pretty good work. Of course, I don't know if that rhythm will still be there when I sit down at the computer in the morning. I certainly hope so. I don't recall if I've mentioned this before, but I never took a writing class or belonged to a critique group or anything like that. What I did when I decided to be a writer was to read every book about writing I could get my hands on. I haunted the libraries and bookstores looking for them. I subscribed to WRITER'S DIGEST and THE WRITER and found articles on writing in other magazines. I still read books on writing, because one thing I've learned is that there's always more to learn. Every writer does things differently, but studying their methods and adapting them to what I do has proven valuable on many occasions. For several years I've been hearing about David Morrell's LESSONS FROM A LIFETIME OF WRITING: A NOVELIST LOOKS AT HIS CRAFT. I've read only a couple of Morrell's novels so far, but I liked both of them quite a bit and thought his book on writing would probably be worthwhile. It certainly is. I have a few reservations about it, but overall it's clearly written, entertaining (Morrell has lots of inside stories about the publishing business to tell, and he pulls no punches and usually names names), and is packed with valuable information about everything from deciding why you want to be a writer in the first place to what to do when your book is remaindered. The sections on developing plots and characters are about as good as anything I've ever read on those subjects. The ideas I gleaned from those sections have already helped me to figure out what was wrong with some projects of mine that have been giving me trouble. The advice in the section detailing Morrell's extensive, hands-on research methods seemed to me to be of the "Yeah, that's fine if you're writing a book every year or two and getting well paid for it" sort. Most of the writers I know can't afford the time or expense of such diligence. Similarly, a lot of the advice about the writing business seems to be geared to that one-book-a-year ideal, which is what Morrell knows best, of course, having followed that path in his own career. I can't fault him for not writing a book called HOW TO WRITE A BUNCH OF BOOKS REALLY FAST FOR NOT MUCH MONEY (although such a volume might come in handy for some writers). Also -- and Lord, I hate to quibble about this, but I can't help it -- he refers to digests like EQMM and F&SF as pulp magazines, when there hasn't been a true pulp magazine published in the United States for more than thirty years. He also says that fiction digests can be found in the magazine racks in supermarkets. Not in my neck of the woods. I haven't seen an issue of EQMM in a supermarket for at least a decade. But these are minor objections. Overall I enjoyed this book very much and think it's worthwhile reading for any author, whether they're aspiring or experienced. And it made me even more interested in reading Morrell's fiction. I had to go to Dallas today, something I do only on rare occasions, and I thought that on the way back I'd do a little booking and stop at a couple of used bookstores between here and there. I used to visit one of these stores on a fairly regular basis, and they always had a good stock of old paperbacks. But I don't go that way very often anymore and the traffic getting there is usually bad, so I hadn't been in a couple of years. The other store I'd only been to once. You can probably guess where this is headed. Both stores were gone. In one case, the shopping center space was vacant. In the other case, the store was not only gone, so was the building and all the other buildings on the block as well. I guess somebody's going to build some other business there, or the state's putting a road through, or something. But this got me to thinking about all the used bookstores in this area that have vanished over the years, stores where I spent lots of enjoyable hours and bought lots of good books. The Book Rack. Book-a-teria. Echo Paperbacks. Lone Star Paperbacks. The Book Swap. Thompson's Bookstore (both locations in downtown Fort Worth -- the one on Throckmorton was the first used bookstore I ever went to). The junk store on the west side of Fort Worth a couple of blocks from the bomber plant. The TV repair shop on the north side that also sold paperbacks (my wife will remember it as the place where the floors moved under you when you walked). Harbinger Books. MegaBooks. Bricktop Books. Books Etc. The Pirate's Den in Austin. Collector's Bookstore in Corpus Christi. And all the places with names I've forgotten, places that had no name, places that I visited only once or twice before they disappeared. I remember a time about 25 years ago when Livia and I made a list of all the used bookstores in one area of town and spent an entire day going from store to store, coming home late in the afternoon with sacks and sacks full of books. And it pains me to think that those days are gone and will likely never come again. I know, I know, we have the Internet now. I can go to ABE and search for a copy of Richard S. Prather's DEAD MAN'S WALK (the first Shell Scott novel I ever read), and a few mouse clicks tell me that more than 50 copies are available, starting at $1.50. I could buy one in a matter of seconds. But could it ever mean as much to me as the copy that I bought for a quarter at Thompson's in 1967 and read during one long, lazy summer day? I'm still on hiatus from writing novels, but I've been working. I've researched, I've plotted, I've written proposals, I've written short stories. More details to come about all of that if anything actually sells. The story I'm working on now started very slowly, finally started rolling along pretty well, but then late today hit a roadblock. At this point I don't know if the problems are fixable or not. I think they are, but I'm going to have to have Livia read the pages and see if she reacts the same way I did. But she's busy with work of her own. And then there are the books I already have under contract that I need to get back to any day now, as well as the editor who's waiting for a Western plot from me. Of course, these are good problems to have, and I'm well aware of that fact. I'm starting to feel a little like a curmudgeon. Here's another novel that's been very well-received, is very well-written (with a few exceptions), and ought to be a book that I like a lot. But I'm not sure . . .
To get the quibbles out of the way quickly, yes, there are a few glaring anachronisms, as other readers have pointed out. One that Bill didn't mention is the misuse of the term "dime novel", which refers to a very specific type of publication and not one that would have been likely to be lying around an apartment in 1950. Not impossible, of course, but not likely. However, such mistakes are only apparent to a small percentage of readers, and I'm sure I've unwittingly been responsible for my own share of such errors in my books. In his comment on my post about James Sallis's DRIVE, Mark Terry mentions forward momentum in fiction. DOPE certainly has plenty of that. In fact, it's one of the most compulsively readable books I've encountered recently. It kept me flipping the pages just like the old Gold Medals it resembles. 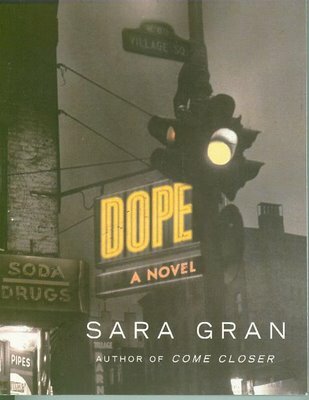 Gran paints a very vivid picture of New York City's lost souls and the world they inhabit. I liked the characters and the setting (or at least, I liked the way Gran handled them -- likable characters they ain't, for the most part), and the plot, while pretty simple, had just enough twists to remain interesting all the way through. But in the end the whole thing just didn't ring true for me, and I hate to say that because at times I thought this might be the best book I've read so far this year. 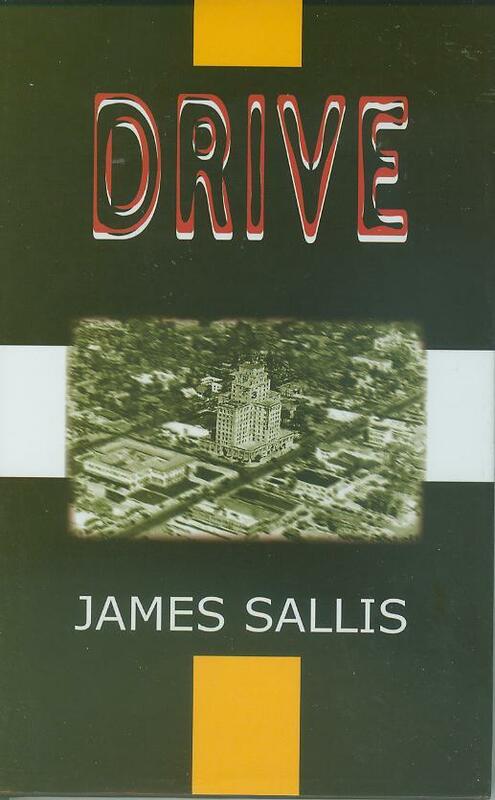 While there’s much I find admirable about James Sallis’s novel DRIVE, I’m afraid I wanted to like this book more than I actually did. DRIVE is a lean, stripped-down novel about a professional freelance getaway driver, written in terse prose that’s polished to a thing of beauty. There are good action scenes, and Sallis does a great job of establishing characterization with a few well-chosen words rather than pages of exposition. So with all that going for it, why didn’t I like the book very much? Sallis’s non-linear approach to storytelling just doesn’t work too well for me. 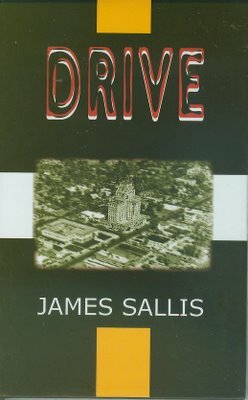 The story constantly shifts back and forth in time, and while I didn't find that confusing – Sallis has firm enough control of his material that I always knew what was going on – I did find it annoying and I thought it diluted the impact of the novel, causing me to care less about the outcome than I should have. I’ve encountered this same problem with other writers – Elmore Leonard comes to mind – and I have to conclude that I’m just a little too stodgy and old-fashioned as a reader for this technique to work for me. Doesn’t mean that DRIVE isn’t a very good book. I think it is. I know some of you have already read it and liked it a great deal, and I’m sure most of the rest of you would, too, so this is one of those rare occasions when I’m recommending a book I didn’t care all that much for myself. 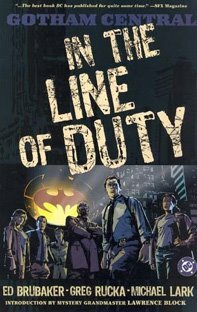 This trade paperback reprints a limited series from DC Comics centered around the Major Crimes Unit of the Gotham City Police Department. The emphasis is on the procedural aspects of the cases they work, even though some of those cases involve super-villains like Mr. Freeze and Batman even shows up briefly. Written by Ed Brubaker and Greg Rucka, with art by Michael Lark, this is fast-moving, very entertaining stuff with a nice, gritty tone to it. Rucka has a reputation as a good hardboiled crime novelist, but I haven't gotten around to reading any of his books yet. I like his comics work, though, and this collection is no exception. I've always liked Westerns that take place in non-traditional settings. This novel certainly fits that description. U.S. Marshal Morgan Kane is sent to the wilds of the Yucatan Peninsula to rescue a group of American scientists who have been trapped there by a uprising by the local Indians. Naturally Kane runs into a lot of trouble along the way, including some colorful pirates. This is another entry in the long-running series by Norwegian author Kjell Hallbing, writing under the pseudonym Louis Masterson. 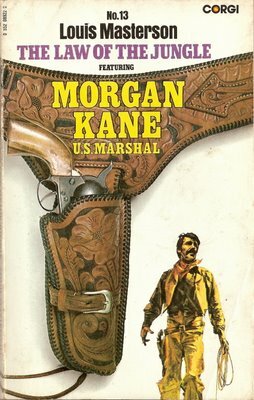 More than eighty Morgan Kane novels were originally published in Norway, and a couple dozen of them were reprinted in England by Corgi Books. I've picked up a few over the years, and now thanks to my friend Jan Pettersen I've been able to acquire a few more. Hallbing had a very distinctive style, and according to everything I've read, translator Phil Newth captures it accurately. The action scenes are very well done, and Morgan Kane has to be the most angst-ridden Western hero I've ever encountered, enduring all sorts of physical and psychological torment in the course of the books. They're off-beat enough that it took me a while to get used to them, but now I've become quite a fan and am looking forward to reading the others I have on hand. From Tuesday through Saturday last week, I didn't produce any new pages of fiction. I wasn't actually taking a vacation or anything like that. During that time I worked on the research and plotting for three different proposals, traded emails with several editors and agents, did some revisions on a short story, and even sold another series Western. But there were no new pages, and that bothered me. Sunday I sat down to write one of the proposals and managed to get only a few pages done, and those pages were a huge, stinking waste of electrons, as far as I was concerned. But rather than scrap them, I got Livia to read them, and with her usual insight she immediately pointed out what was wrong with them and suggested a possible solution. Today I got a chance to try it out, and wouldn't you know, it worked. It still wasn't a great day, but at least I now feel like the project has some potential after all. I hope that in a day or two I can work myself back into a decent rhythm again. Originally published in the November 1920 issue of BLUE BOOK and reprinted in 2005 by Wildside Press (with a rather whimsical cover), this short novel takes place in French Indo-China, better known to us today as Vietnam. This was during the era when Saigon was called the Paris of the East, and all the characters who appear are either French or American. Much of the action takes place on a privately-owned island off the coast, as a mysterious American adventurer and possible criminal named Smith is plunged into a plot full of intrigue, revenge, and murder. 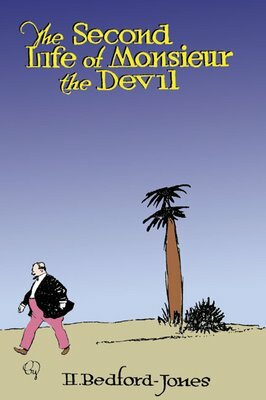 The crooked mastermind known as Monsieur the Devil, sentenced to life in prison, escapes and seeks revenge on the man responsible for putting him there, who happens to live on that private island with – wouldn’t you know it – his beautiful daughter. Along the way there’s a lot of scheming, a few well-done action scenes, and a really suspenseful ending. The pace is a bit more leisurely than you find in some of Bedford-Jones’s stories, but the novel is short enough that that’s not a drawback. As usual with the work of the King of the Pulps, I enjoyed this story quite a bit. 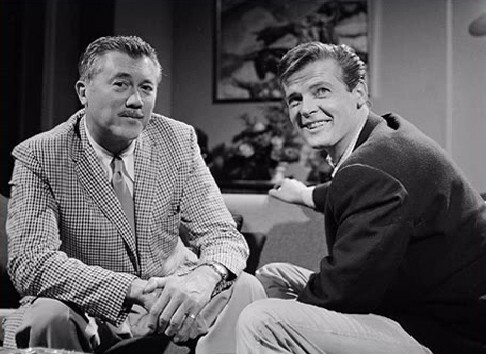 Today would have been the 99th birthday of Leslie Charteris, creator of the Saint and one of my favorite authors for almost forty years now. That's Charteris on the left with Roger Moore, who starred in the best of the TV versions of the Saint. In the mid-Sixties, I was working in the little fledgling public library in my hometown, which had gotten its start with book donations from the community and still continued to exist on the generosity of the public at that time. Someone donated hundreds of mysteries, mostly book club editions and those cheap hardback reprints from the Forties published as Triangle Books. Since I worked at the library I got to go through the books first and read the ones I wanted, and in the stack of books I took home was the Triangle edition of THE SAINT IN MIAMI. I had never heard of the character or the author at that time, but I read that book and loved it and immediately started hunting down and reading everything I could about the Saint. I continued that for many years until I'd read just about everything in the series. The Saint novel THE LAST HERO remains one of my favorite books of any kind. Not long ago when I was in Half Price Books, browsing through the nostalgia section, I came across a couple of those Triangle editions: THE SAINT BIDS DIAMONDS (also published as THIEVE'S PICNIC) and -- wouldn't you know it -- THE SAINT IN MIAMI. I had to buy them, of course. I want to reread THE SAINT IN MIAMI in the same edition in which I originally read it. And I'm not sure if I ever read THE SAINT BIDS DIAMONDS. I sure don't remember it. Anyway, if you've forgotten a book, it might as well be new to you, right? I wound up making a library run today for research books and spent most of the afternoon going over them and working with Livia on the plot for that proposal I mentioned. However, I'm far from satisfied with the idea and couldn't sit down to write with what I have in my head now. So this is going to take some more pondering. I have an idea for another proposal I probably could go ahead and write, so that may be what gets done next, and another backup idea beyond that if I need it. Tonight I watched a documentary on PBS about John Ford and John Wayne and thought it was outstanding. I've been a John Wayne fan since I saw THE COMANCHEROS at the Eagle Drive-in in 1961, and I like all the films he made with John Ford, especially STAGECOACH, THE SEARCHERS, and THE MAN WHO SHOT LIBERTY VALANCE. I'm also very fond of a little-known Ford/Wayne film called THE LONG VOYAGE HOME (based on a play by Eugene O'Neill, I believe) in which Wayne plays a Swedish sailor and acquits himself surprisingly well. I haven't seen it in years but would like to watch it again to see if it holds up. As usual when this blog goes silent, I've been pushing to finish a book and haven't done much in recent days except sit at the computer and write. Late this afternoon I wrapped up the project, so I plan to take a couple of days off now without any work except maybe some research and plotting for a proposal I want to write next. In fact, I plan to write two pitches before I start work on the next book. I like to keep as many things out to market as I can. A few days ago I read an excellent historical adventure novel by Tim Champlin called WHITE LIGHTS ROAR. It's set on the Mexican border in 1916 and features a stolen shipment of army rifles, a train that seemingly disappears into thin air, Pancho Villa, Irish revolutionaries, biplanes, and a couple of very likable heroes. What more could you ask for? (Well, a swordfight, maybe, or some quicksand, but no book is perfect.) I've seen Champlin's books around for years and own several of them, but this is the first one I've read. It won't be the last. Since Livia and I got our copies of this book today and since the official publication date was May 2, I assume you can go to Wal-Mart, Barnes & Noble, Borders, etc., and buy a copy. Or two. I'm at a point in the current project that I don't particularly like. The enthusiasm of starting a new book has worn off, but I'm still far enough away from the end that the excitement of finishing up hasn't kicked in yet. So the pages I'm turning out are still just fine, it's just harder to get them written. So after writing this morning, I wasn't really all that upset that I had to take the afternoon off to replace some shingles on our barn that were torn off last night during a storm. That turned out to be pretty hard work, too, and tonight I have a sore, swollen elbow and knee. But at least the barn won't leak . . . much. While I don't despise roofing as much as I do plumbing and painting, I don't actually like it, and I'm not very good at it. (Sort of like plumbing and painting.) We're supposed to have more storms moving through over the next few days. I hope they leave our shingles alone. In other news, the International Association of Media Tie-in Writers has announced their first annual Scribe Awards. You can read all about it on Lee Goldberg's blog. It's September 1944. A fortune in gold and art treasures is stashed under a Dutch farmhouse. The SS wants to get their hands on the loot so they can take it to Berlin and turn it over to Hitler. A group of renegade Nazi officers want to steal it for themselves. And a squad of commandos in a glider diverted from Operation Market Garden by British Intelligence crash-lands in Holland to go after the treasure, too. I'd never heard of this movie until I saw the DVD of it in Blockbuster today, but the plot sounded to me like something out of an Alistair MacLean novel, and I was a huge fan of MacLean's books during the Sixties and Seventies. So I had to give it a try. Unfortunately, this is a movie that's better in its concept than in its execution. The plot is confusing and hard to follow for two main reasons: several of the characters look so much alike it's hard to tell them apart, and the British and German accents are so thick that much of the dialogue was indecipherable to this ol' country boy's ears. 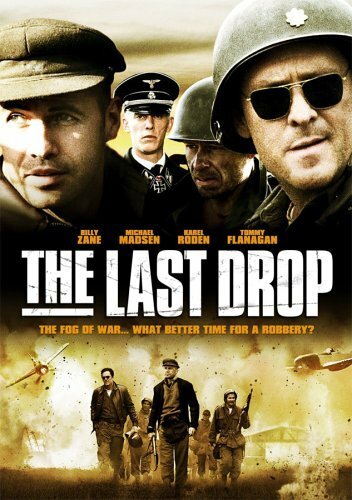 The only recognizable actors are Billy Zane, who plays the Canadian pilot of the glider who is forced to accompany the commandos, and Michael Madsen, whose role as a flamboyant American colonel doesn't amount to much more than a cameo. Despite its flaws, this movie isn't a total waste of time. The action scenes are pretty well-done, and the blending of actual World War II footage into the film works pretty well most of the time. It's a semi-entertaining way to pass a couple of hours, but it's no THE GUNS OF NAVARONE or WHERE EAGLES DARE. Dang, now I want to go back and reread some Alistair MacLean, and I just don't have time right now.